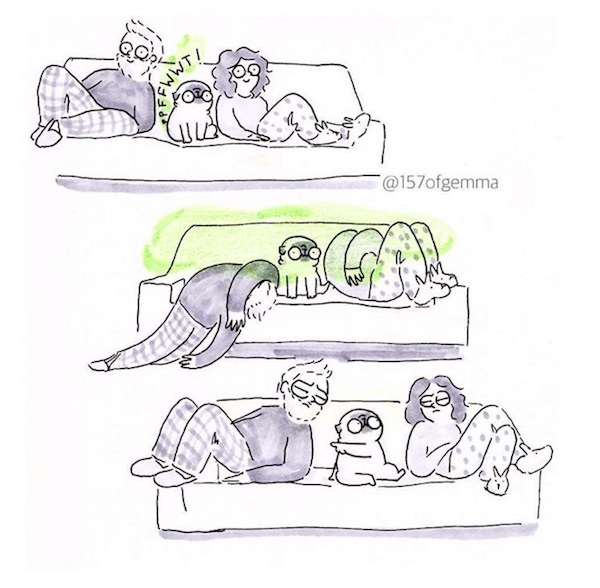 Artist Gemma Gené loves her pug ‘Mochi’ so much that he has become her inspiration behind her comics. She started drawing images of the lovable canine during her commutes to and from work. Now, she posts cartoons of ‘Mochi’ on an almost daily basis to her Instagram account ‘157ofgemma’ and Facebook. Check out some the amusing entries below. I would't have it any other way! Have a great weekend!! ********** "Qué espacio personal?" No lo querría de otra manera! Buen fin de semana! !